In a couple of weeks I'm hosting a culinary tour of Chicago's Maxwell Street Market. There, you can find an assortment of things for sale such as purses, shoes, housewares, tools, etc. But for me, you know the main attraction in my eyes are the sights and smells of the food highlighted there. Mexican and various Latin cuisines can be found at the Market, which I'll be sharing more in detail after I host my tour. However one thing that sticks out in my mind about the market are the various fruit flavored water drinks they have available. You'll find giant jugs of water with chopped or mashed fruit mixed in including strawberry, cantaloupe, watermelon, pineapple, orange... I'm getting thirsty just thinking about them! Continuing with my love of strawberries and trying to use them up, I came across this recipe for Strawberry Agua Fresca... the same drink offered at the market. 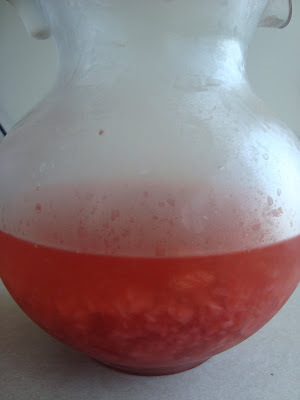 I prepared the recipe, however I wanted to throw in a twist and build on this strawberry water recipe. What I ended up with was the following recipe for Strawberry Limonade. 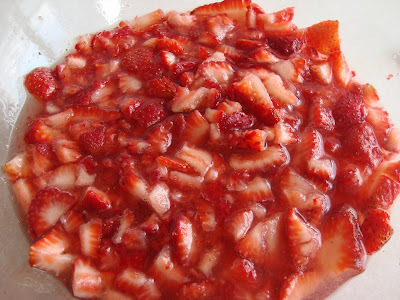 In a bowl, place the strawberries and sugar. Cover and chill, allowing the strawberries to macerate for at least 1 hour. 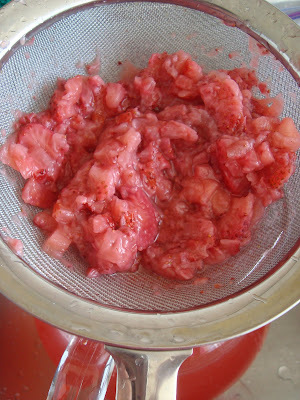 After the strawberries have macerated, place the strawberries and juices into a pitcher and fill with the water. Stir and refrigerate overnight. The following day, strain the fruit from the water and discard the fruit. 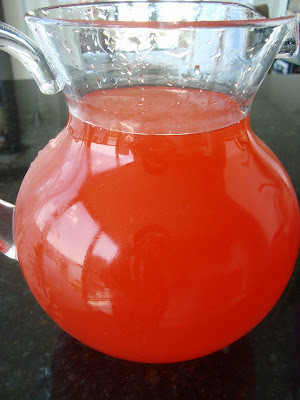 Place the strained strawberry water in a pitcher and add the lime juice and simple syrup; stir to combine. Fill with water and serve over ice. Adjust the sweetness by adding more or less simple syrup to your preference. oh my gosh!! 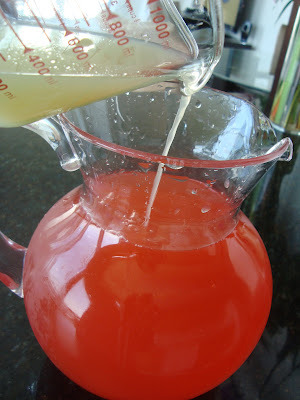 i love strawberry lemonade but never thought to make strawberry limeade! looks delish!! This limonade looks delicious! Thanks for sharing the recipe! I have so many strawberries in my fridge right now and was wondering how I was going to get to all of them before they went bad. I can't wait to try this lemonade!